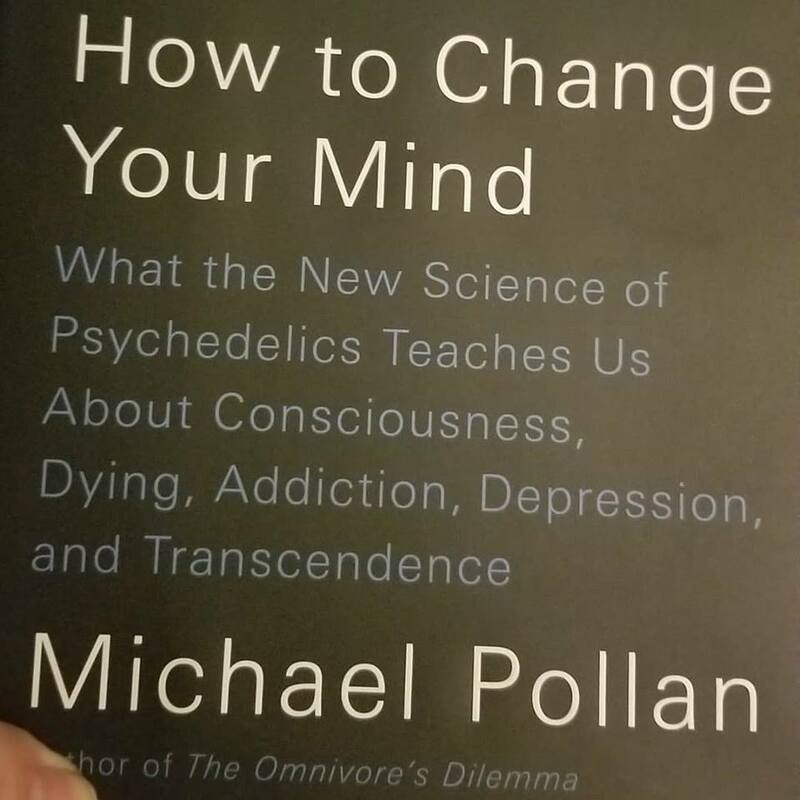 Brief thoughts on Michael Pollan's "How to Change Your Mind"
I recently finished Michael Pollan's book "How to Change Your Mind," about the history, experience, and science of psychedelics. One of the most interesting takeaways for me is the idea that our self, our ego, what we consider to be "us" and how we experience the world, is not fixed. Those steeped in the religious philosophy of Western antiquity often talk about "essence," as though there is a "true self" situated within the body (not physically situated, they would say, but metaphysically). Just today I was reading a comment from someone who claimed, from a religious perspective, that our "true essence" remains intact even if we have Alzheimer's. Color me deeply skeptical, and psychedelics provide an insight as to why. 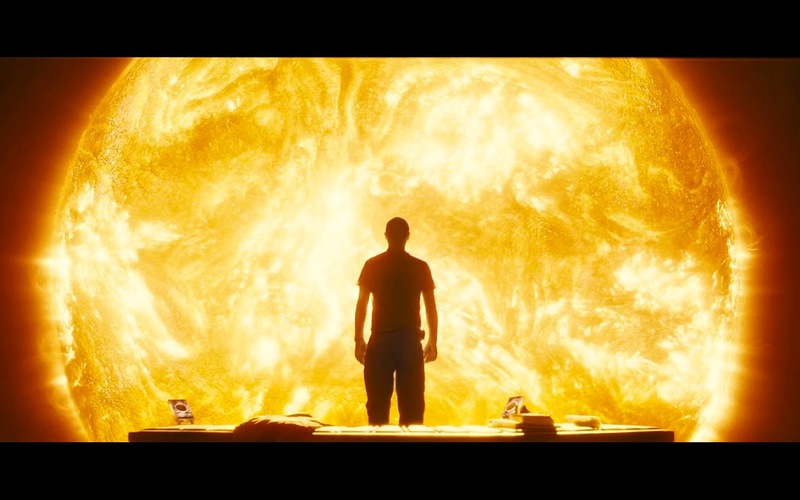 It's hard to describe to someone else what the experience of a psychedelic is like. It's sort of like asking, "What is the content of your conscious experience right now?" Most of us don't really think of it; it just "is." The way we perceive the world, ourselves as individuals, and the interaction of the two seem utterly mundane. Under the influence of psychedelics, the entire veil of conscious experience changes. You may feel dissociated from your own ego—which is certainly ineffable; how do you describe what it's like not to have a self of self? Your conscious experience becomes untethered from your ordinary sense of time; mere moments can feel like hours, and vice-versa. Your physical perception of the world is radically altered. The world pulses, flows, and vibrates; you may look at an object and it will appear to incessantly shift about and vibrate, as if your brain cannot create a coherent image enough for you to focus on it or understand precisely what you are looking at. You may perceive complex geometric patterns that appear to be imposed by your mind the world around you. The best analogy I can think of is that of Jason Padgett, who became a mathematical savant after a brain injury; he began visualizing equations as complex geometric patterns. Interestingly, he also experiences synesthesia—a common experience on psychedelics. Psychedelics work, in part, by drastically reducing activity in a section of the brain called the "default mode network." This is, essentially, the ego-center of the brain; it helps us to make rational inferences and take cognitive shortcuts. As activity in this area of the brain plummets, novel physical connections are formed between regions of the brain that ordinarily do not communicate. This may be why those who've used psychedelics may discover novel ways of thinking—about themselves, about others, about the world. A friend of mine, somewhat of a mathematical savant himself, discovered during an acid trip a novel way of performing complex equations that has since saved him time in his studies. Your perception of yourself, of events around you, of emotions, can radically and (apparently) permanently shift after the use of psychedelics. Pollan cautions that it's not clear how permanent many of those novel neural connections are. 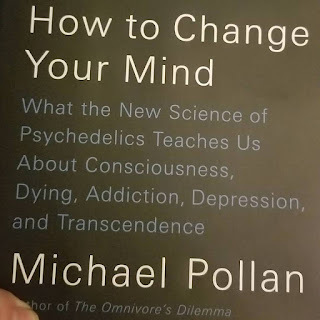 And, as one of the researchers he interviewed opined, psychedelics may offer "fool's gold"—experiences that at the time seem profound but on later reflection are, if not mundane, certainly not transformative. But it's difficult to square the notion of a fixed "self" or "essence" with the fact that a tiny molecule, extracted from a fungus and used in extraordinarily small doses, can not only offer us a radically shifted view of ourselves and our reality, but may offer permanent changes in our perception. Parsimoniously, the formation of those novel neural connections and the shifts in brain activity are the drivers of this profoundly altered experience of reality. Where, then, is the ghost in the shell? What of us is truly fixed?